"... simply the finest Mertz I’ve ever heard ... this is tastefully played, often with heartrending beauty ... a recording with great artistry." 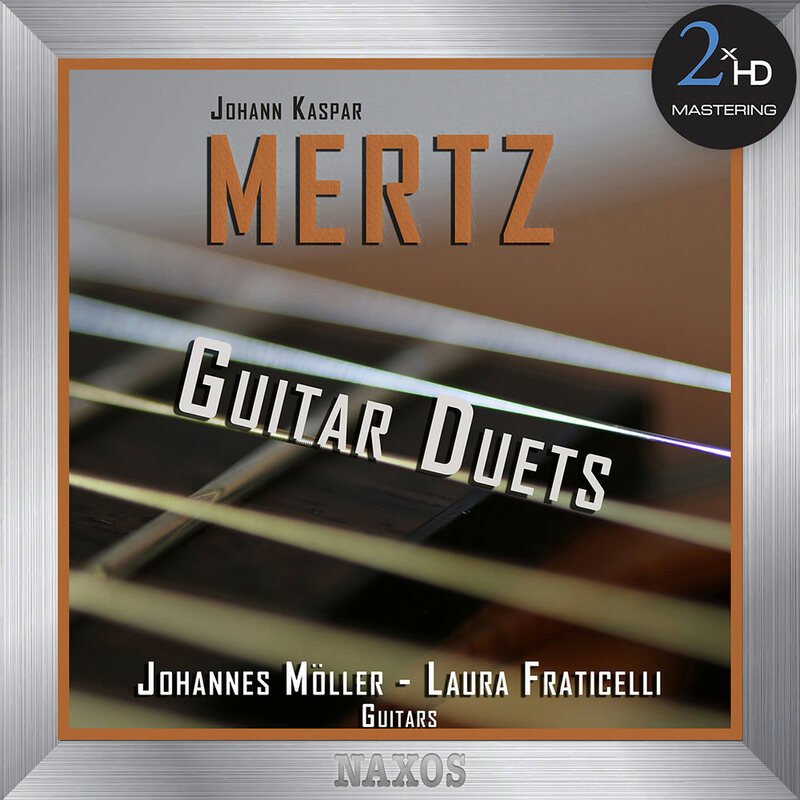 Johann Kaspar Mertz’s duets are unusual for combining a guitar of normal string length and tuning with the smaller Terz guitar and its higher tuning. The rare chemistry of the two instruments played here by Johannes Möller and Laura Fraticelli reaches high degrees of virtuosity in The Rage but it is Mertz’s colourful depiction of scenes and moods which commands attention. The three elegiac Funeral Laments are amongst Mertz’s finest and most expressive pieces. In order to achieve the most accurate reproduction of the original recording we tailor our process specifically for each project, using a selection from our pool of state-of-the-art audiophile components and connectors. The process begins with a transfer to analog from the original master, using cutting edge D/A converters. The analog signal is then sent through a hi-end tube pre-amplifier before being recorded directly in DSD 5.6mHz using the Merging Horus/Hapi In and the dCS Vivaldi Clock. All connections used in the process are made of OCC silver cable.